I cried a lot that summer. I was broke beyond reason. I had a studio apartment and couldn’t afford the rent – $450/month. I was very very lonely. I moved to Jacksonville with a cooler full of veggies and a suitcase, because I believed that it was better for me to sleep on my play-cousin’s couch (shout-out to Kendalyn), or on the blow-up mattresses of strangers (and Ajoke), than in Augusta with my parents, working at Applebee’s “with so-and-so’s son from church” to pass time with no plan. I checked out movies from the public library. Read. Went to Starbucks to use the WiFi and work on my resume. I volunteered and worked as a temp. First considered modeling professionally, but ended up at John Casablancas as a booker instead. I’d go to the beach to decompress and pray, but tried to remain stationary to save the gas. 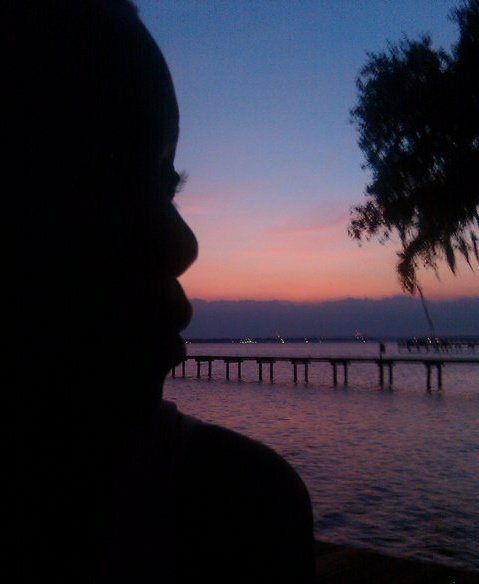 I lived a few minutes from the St. John’s River, and would escape to an empty lot and dock on the bank, like a seven year old to a secret tree house. It sat in-between two houses, and I came so often that the neighbors would wave at me as I approached. I usually wore my favorite skirt – it was multicolored and thin, and I felt like a quaint gypsy. I’d dance down the dock barefoot. Sing songs i’d never heard before or since. I’d eat tangerines and share some with Oshun. I’d read. I’d pray and I’d cry. I’d dance in mists until they became rain. I talked to the fish as they jumped out of and back into the waves. Life was simple then, because I had very little else. I learned during this summer about the carrying ability of Fantasies. Lots of philosophies tell you to live in the present and accept where you are, but when you are living in Hell (or Purgatory), why not imagine a Heaven to help sustain the burns? 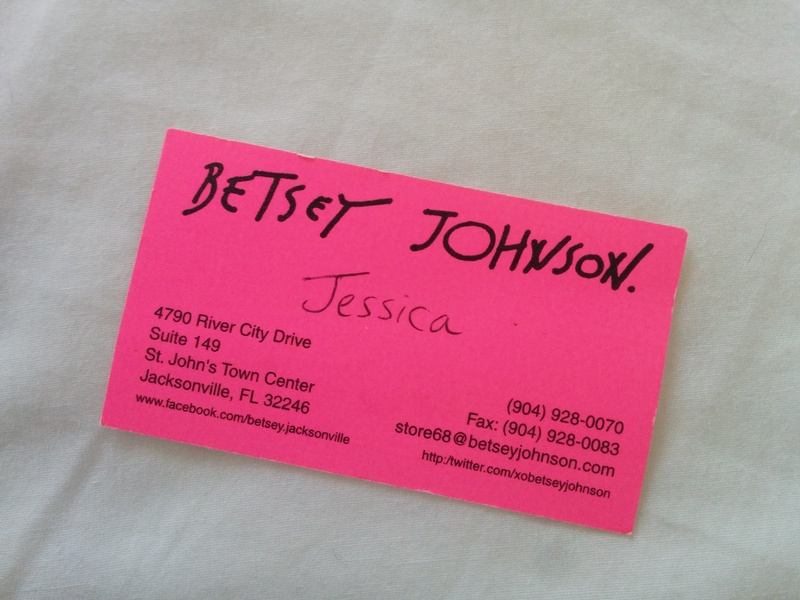 I went to Betsey Johnson to browse. I was only window shopping, and walked into the store to find the Spring/Summer 2011 line of Betsey’s artful costumes. There were tutus and day gowns and glitter and all sorts of of things I wouldn’t be able to wear anywhere but loved anyways. I touched each piece and learned every fabric, taking my time until the sales girl took notice of my fascination. Dress after blouse after skirt after gown, I modeled them all for at least an hour. The sales girls joined in a chorus, pulling out shoes and accessories to finish each piece. And what happened with I finished all of the outfits? I said thank you, took her business card, and left the store. I didn’t stay long enough to gauge if she was shocked or disappointed…likely. If those girls only knew how much hope they gave me that day. By their attention of service and douses of color, they showed me that for grown up little girls, playing dress up never gets old. Sometimes, putting on the clothes of someone else can tame a stark present and tend to the flames of tomorrow’s promise – today you may be small, but one day you will be all grown up…and it will be fabulous! I love your story Alma – I hope you are writing a book – your words are beautifully moving, poetic and so how I would love to write myself! Thank you for sharing this story.